I know you just adore marketing (she says dryly), but why four hours a week? Well, if you consult or freelance around 20 hours a week, that’s 20% on top of your work time, and with proposal writing time, it brings you to a handy 24-26 hours – a perfect primary school parent work schedule. On the other hand, a full-time freelance schedule is often not thought out enough. The fact is, 30 billable hours (like on my calculator) is probably the best you can achieve in busy periods. Why? 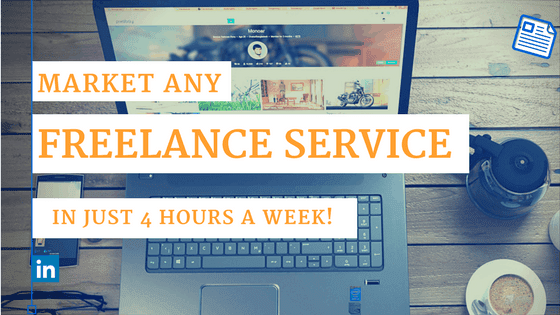 Because you need that 7-10 hour leeway to account for pre-work calls or emails, talking to peers, changing your website, setting up invoices, and doing proposals. And if you can fit it in… some other marketing. Click to get my new Hourly Rate Calculator offer via email. Finding relevant stories, infographics and reports is time-consuming– but you can always start by doing ‘niche industry’ keyword searches in Google News. Then utilise a Chrome extension to share the article. Extensions like Buffer’s one helps you to share articles to ALL your setup social accounts at one time – and schedule in advance as well. You can schedule your whole week’s media updates on Monday morning for 1 hour. Any extra time, spend it making a couple of images in Canva to share on Instagram and Facebook or use for your future LinkedIn article. Original imagery with consistent colour overlays helps you to get a brand footprint. More direct interaction usually gets better results. LINKEDIN. Start with commenting on your connections LinkedIn posts and checking the Notifications panel for alerts to act on. Add new connections you recently met to LinkedIn, with a reminder note. Send a message to connections to say you are scouting for ‘_______’ projects as your just acquired a new skill or certification. If you dislike LinkedIn or haven’t built a presence there, might I suggest interacting in the Forum of FlyingSolo.com.au (check recommendations section and the marketing section) and also the Facebook group Queensland Business, if you are living in the sunshine state. Keep the timer on for this task. I assume you like to write, design or photograph for a more segmented audience than just SMEs. 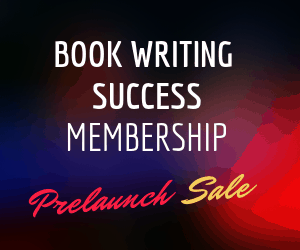 So follow more Australian people in your chosen niche. Subscribe to an industry influencer’s Twitter list. It will be faster than searching for single influencers yourself, as you can follow them all if you like – or select those more in your area. I subscribe to 12 lists and am a member of some others; for example Creative Review’s Copywriters list. You can create your own lists to better drill down on the followerships you want to learn from. I have a ‘Life Passion Experts’ list for example. To add someone, follow them, click on the 3 dots and highlight ‘add or remove from lists’ then tick the relevant list / New List. Whether you are blogging to your own website or just on LinkedIn to reach 1st connections, it pays to spend some time Sunday to plan out your next blog posts, including researching current topics in your industry news. Plan on how you’ll break that tricky subject down for your niche audience who might not be up with industry terminology. Not much time left to bang out your researched post and link to one or two outside sources for survey results or an infographic. If you happen to have a teenage web ninja at home, get him or her to make a Blog Post image or LinkedIn banner with Canva. Pocket money aside, it’s enjoyable for the design-savvy teen and it saves you 20 minutes of messing around. Of course, teen labour is not always available! In this case, try it yourself. Designers/Developers who are trying to outsource some content marketing and SEO work, consider hiring a copy editor after you get the content written. Because if you don’t, there may be quite a few typos going out under your name. It would be a shame for people to think poorly of you after putting in the effort to blog or have content written for you. 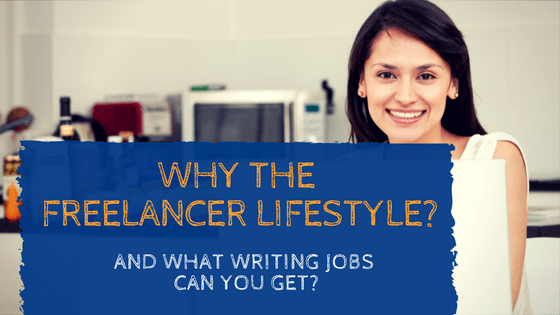 Why the Freelancer Lifestyle and What Writing Jobs Can You Get?